Fred always enjoyed playing with toys as a kid. He would often arrange them in a scene like this one and imagine what was going on in the toys minds if they were real. Fred still does this even though he grew up but now you call it art and Fred makes 3D dioramas, or in this case Dinoramas! 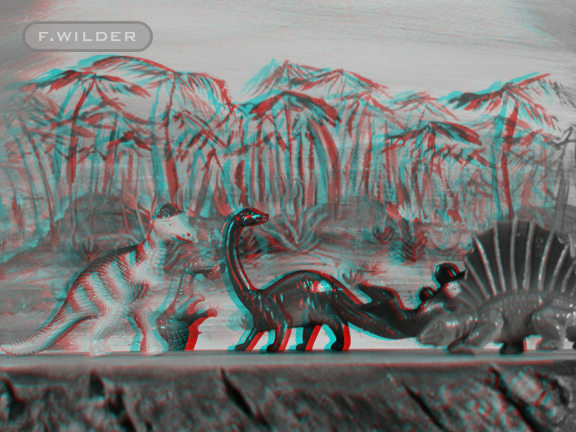 You need Red Blue glasses to view this 3d anaglyph image.